Depending how far you want to drive you can go to Uwharrie. They have a lot of offroad trials. It's in Troy, NC. Nothing is going to stop me unless it's Divine Intervention. 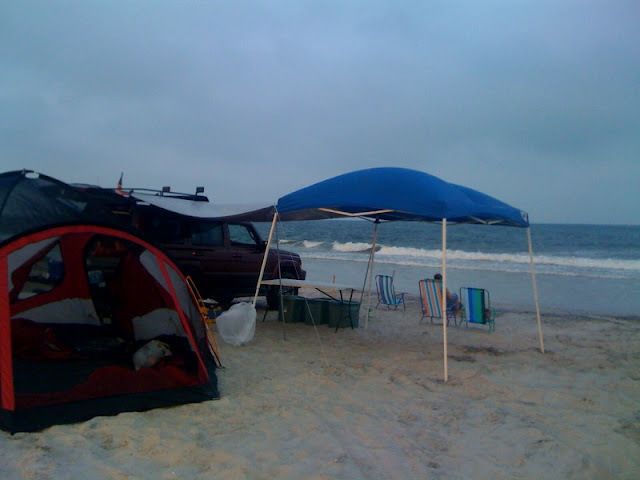 Carolina beach is a awesome place to camp and hang out if you have a 4X4 I highly recommend that place. Not so much for the off road stuff but camping feet from the surf watching people get stuck all night its fun. The green swamp has miles and miles of dirt roads and some of them are rough and some of them have locked gates. You might want to find a map or take a GPS with you. Carolina Backwoods is about the only real ORV park in Southeastern NC. Corolla on the northern beaches on the obx have some great beach driving. You can also explore corova beach and north swan beach. 4x4 is required to get there and the roads are extremly challenging at times. You have to watch the tides as well because the beach you have to use to get there are impassable on extreme high tides. oooh....meant to ask...at Carolina you can camp right on the beach??? ?